An easy transaction, where i was always kept informed on the progress of my order. Arrived ontime and as described. First class service all round and most appreciated. Many thanks. I am so impressed with the excellent service very quick responding to my enquiry regarding an obsolete part which I cannot get hold of anywhere else! Communication also excellent by email and over the phone Will certainly recommend your company to friends and colleagues !! I purchased a fixing set for an existing shower. I only needed 1 part which to replace a Brocken part. I paid for a large amount of parts that I do not need. The various parts should be available as individual parts. 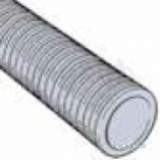 Why choose MyTub Limited for 150mm x 110mm y branch 45 deg all sockt 150Y110?